If you’re looking for a book on legal statutes, codes, case reports, regulations, criminal trial procedure, or almost any law topic thereof, there’s a good chance you’ll find it in Post University’s legal studies library. 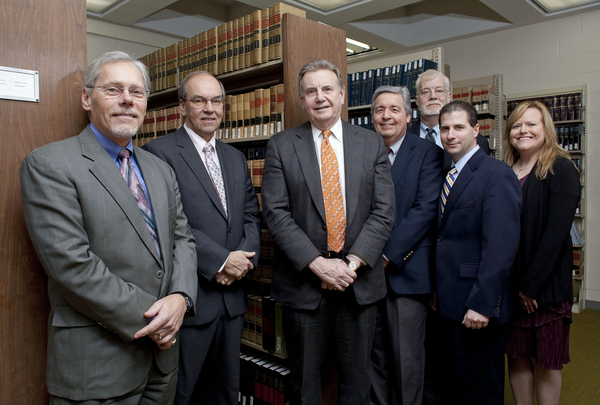 It’s now the home to over 4,000 law books, thanks to a generous donation by Connecticut attorney Tim Moynahan of Moynahan and Minnella Attorneys at Law here in Waterbury. Tim is also a member of the Post University MBA Advisory Board. 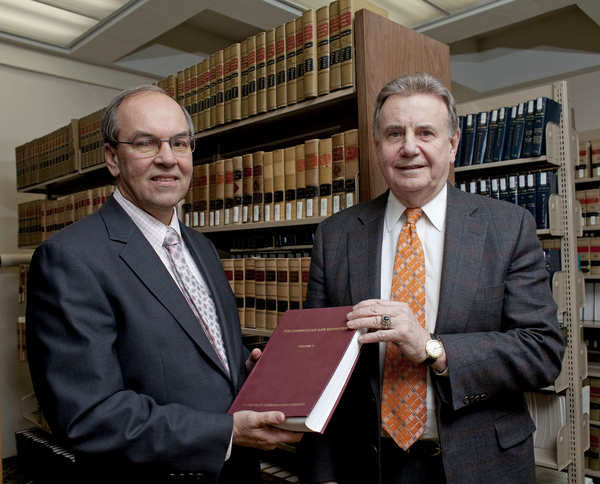 His recent donation of more than 2,000 books doubled our collection, making Post University’s library the largest undergraduate legal studies library in Western Connecticut. Our blogging team caught up with Tim today to talk about why he donated these books to Post and how he hopes his donation will help Post students. Take a listen below. You’ll also hear Tim explain why he believes Post’s Legal Studies program is top-notch — a sentiment shared by his peers in the local legal community. Post University’s Legal Studies program was recently voted the bronze winner in the Connecticut Law Tribune’s 2010 readers’ poll. Last week, we held an official “passing of the books” ceremony to celebrate Tim’s donation. Here are a couple of shots from the event. We’re thrilled to be able to bring all this invaluable knowledge to our Legal Studies, Criminal Justice, and Public Administration students. Thank you again, Tim, for your donation and all that you do for Post and our students! This is an excellent addition to the university!